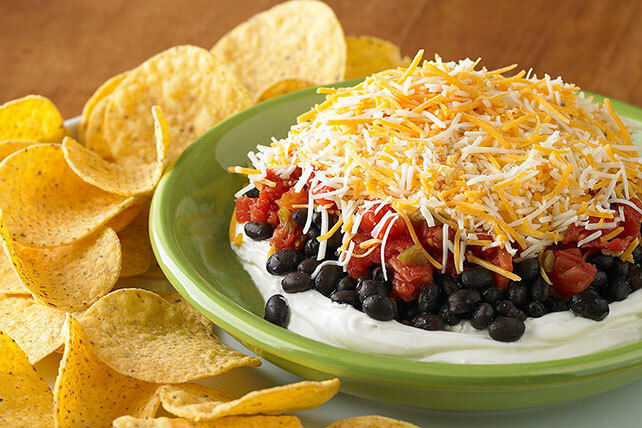 See how four ingredients become our Layered Black Bean Dip in 5 minutes! Our black bean dip is perfect party fare for Cinco de Mayo—or cinco de any month. Serve with tortilla chips and chopped fresh cilantro.